Selecting an adjustable speed drive, particularly one in a constant torque, may seem like an easy task but there are several things that you should consider. Choosing an adjustable speed drive with the presumably correct power and speed could adversely affect the amount of energy used to perform certain tasks. Here are several technical points to determine before selecting an adjustable speed drive. Is the wye grounded through the center tap? Whether the system has good ground. 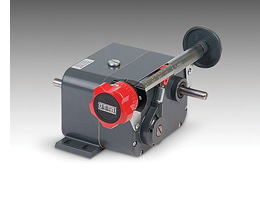 What is the expected speed range of the motor during operation? Determine whether it is a V / Hz drive or a vector drive because V /Hz may be programmed for a specific voltage for each frequency. How much overload (torque above full load) is required? What type of environment will the amplifier be subjected to? If the amplifier is exposed to dust and other fine particles or if it will be exposed in a way that would render it an electrical hazard, consider applying a suitable housing unit or enclosure to help extend the life of the amplifier. What are the requirements for communicating with the bus based on whether it is for programming, control or process monitoring? What are the braking requirements for the application? High speed to a lower speed quickly? How will speed be regulated (inverter or vector)? What is the required range of speed (this will affect the cooling system)? Will you be operating at speeds other than 50 or 60 Hz? Using this checklist to help you select the proper adjustable speed drive for a constant torque application can help increase productivity in the shop, keep energy costs down, and help your company maintain a leading-edge reputation in the marketplace. Don’t forget that TigerTek partners with companies of all sizes to provide them with dependable, quality industrial repair services – for more information, contact us today or call .